Some great photos have been posted in this thread. Do you people use specialist cameras and lens, ie macro or do you tweak them in some editing package following the picture taking session? 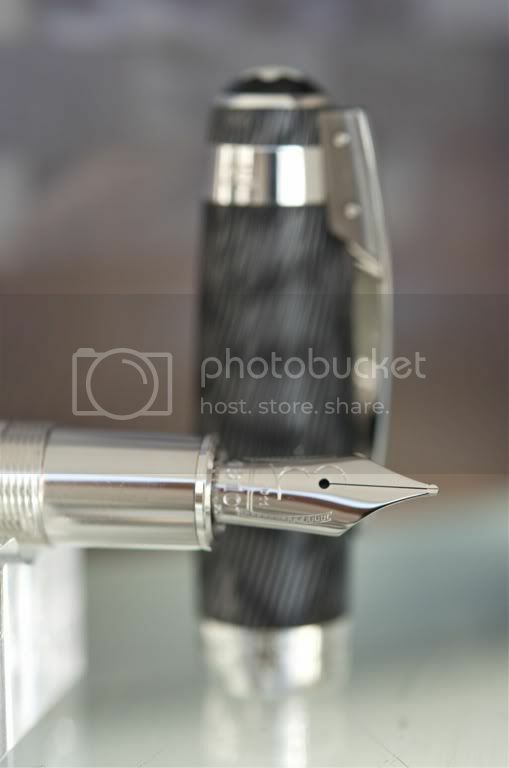 I use a Nikon D200 DSLR, mounted on a sturdy tripod, with macro lens (MicroNikkkor AF 105 f/2.8). 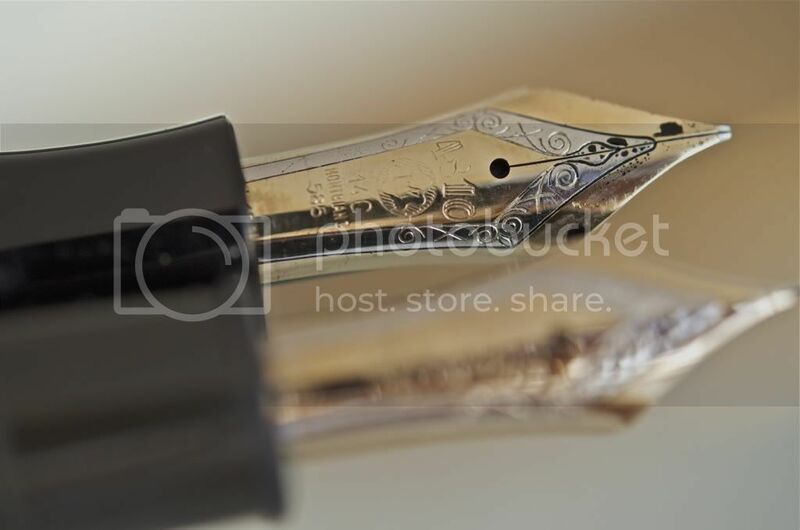 Photos are taken with natural light diffused by a white, semitransparent reflector. Post processing with Photoshop CS5 to open the darkest tones. 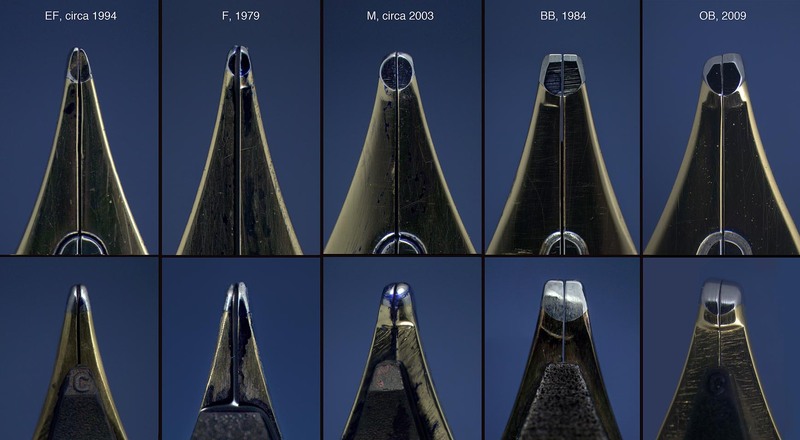 The following tips of 149 nibs were taken with a Leica digital microscope camera (DFC290 HD) mounted on a Leica stereomicroscope MZ9.5 equipped with a Leica Plan 1x objective. These photos are stunning. 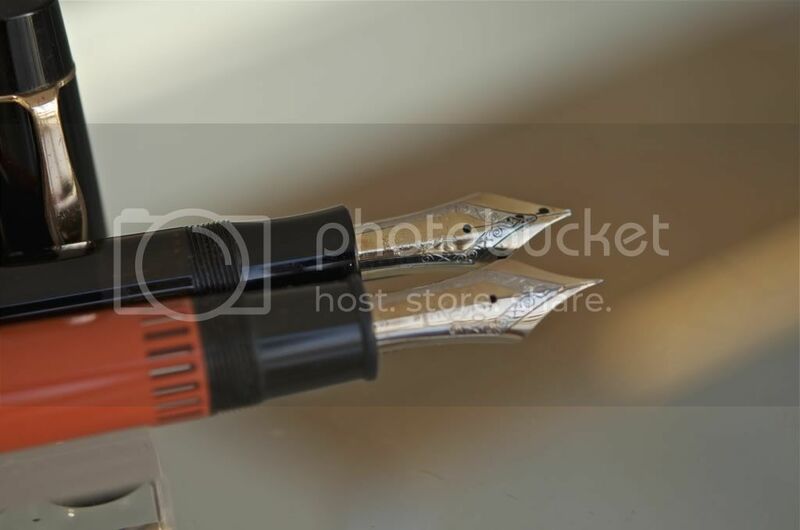 Unfortunately I do not have a camera right now, so I cannot post images of my 1960 flex-italic. I do not see many references to these and I am wondering if they are rare. 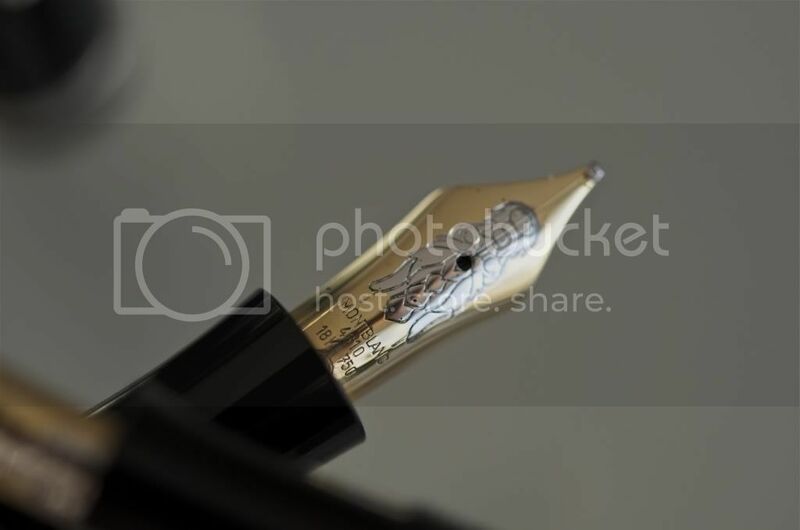 My nib is factory original and has never been re-worked as some on here have. Oh! 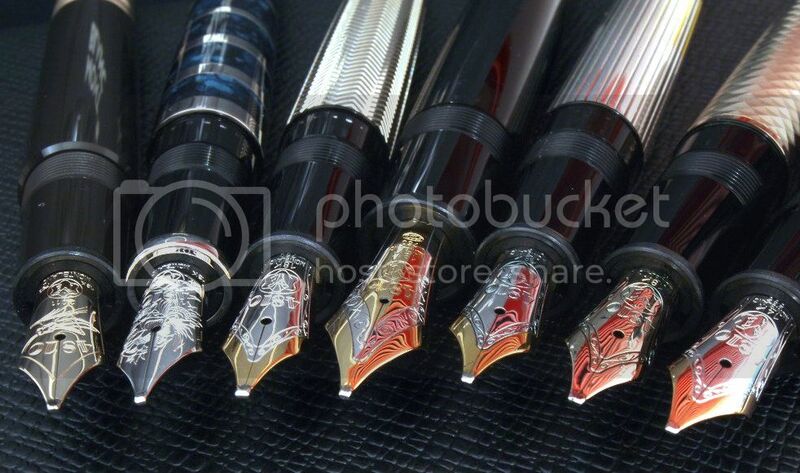 You made me ink! Thanks to those who have explained what cameras/techniques they have used. I do find this interesting so any further posters may like to add what camera / setting / editing has been used? Nikon d7000, nikkor 105 macro lens, on tripod, f-11 (or close to it), 2 second (or close to it) exposure, no flash. This thread is becoming my favourite... 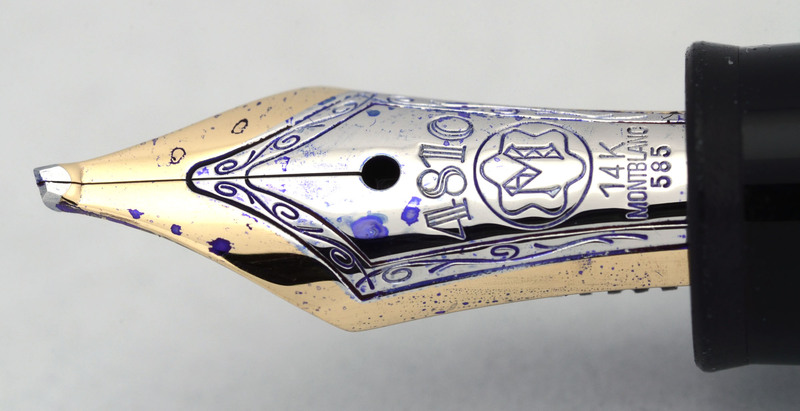 The nib is the best part, and to have several pages of MB nibs is just awesome! Tripods & macro lens get a mention I see. Even now I appreciate that some of these pics are far from 'point & shoot' creations. Please keep adding a sentence to inform those who have not got, but are trying to aquire, similar photo skills. 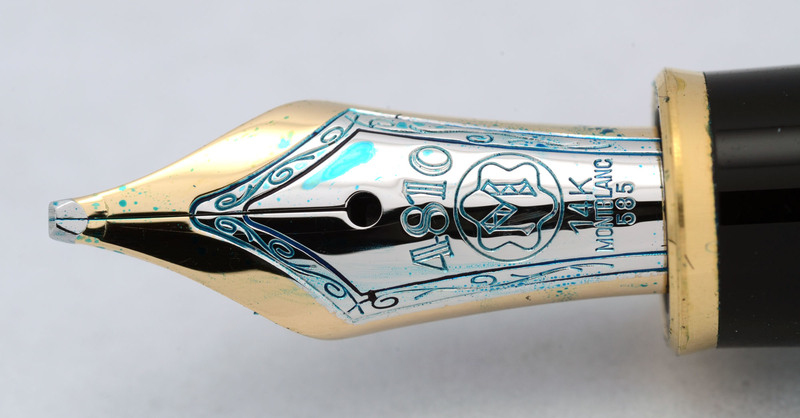 Picture of my Starwalker 100 year edition with M-nib. Extern flashlight Speedlite EX580 on -1/3. 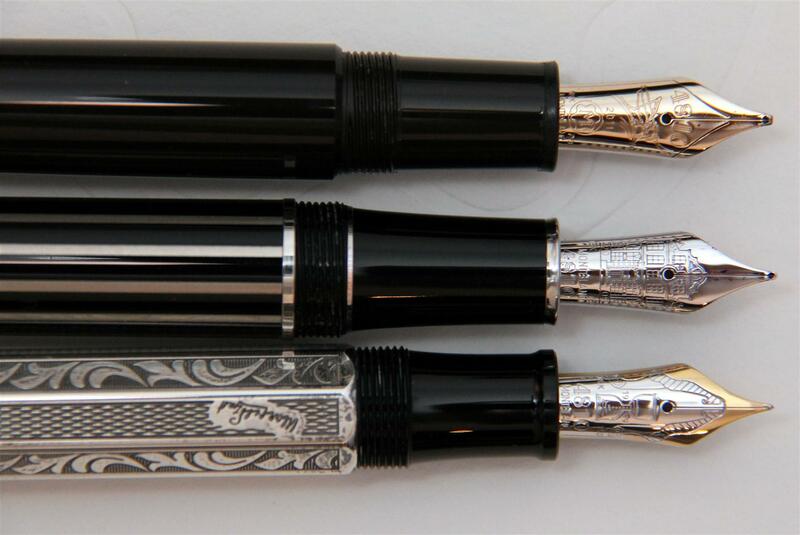 In taking photographs of your pens, you have to remember that they are usually highly reflective. 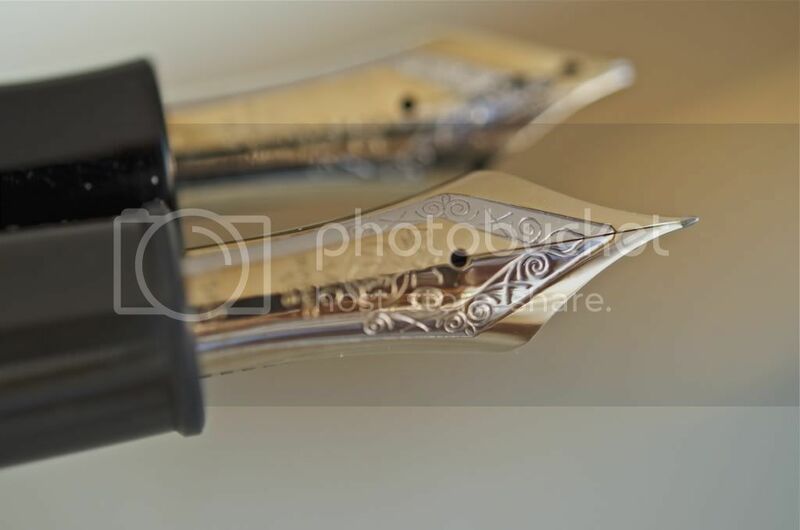 This means that, if you want to avoid an excess of reflections that reduce the "legibility" of the details on the pen body and the nib (but, of course, you may want it...), you have to diffuse the light. Whatever kind of light. 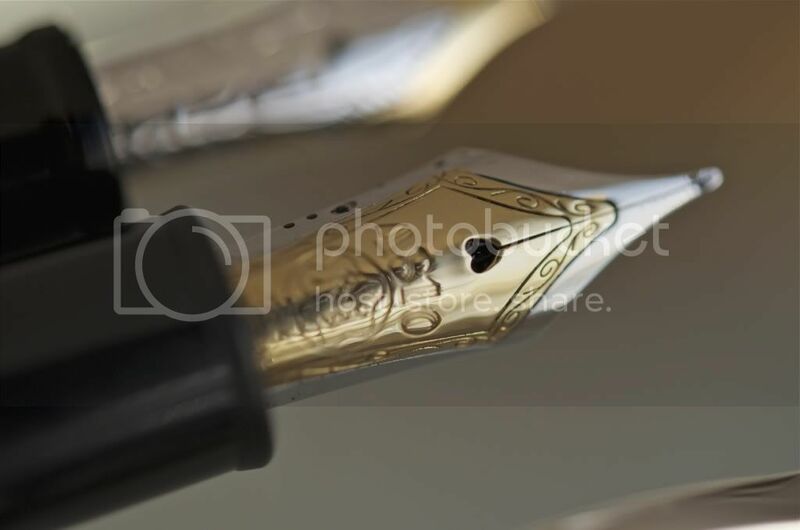 If you use a flash (or a professional strobe), you may want not to point it directly on the pen, but rather on the roof or on a clear wall. Still better, you can diffuse the flash light through a dedicated reflector to mount on the flash, or a soft-box if you use professional strobes. A simple leaf of tracing paper put in front to the flash will work perfectly too. I suggest you using a "diffusor" also when you use natural light (i.e., from a window). You will notice immediately how much the photo would change under this kind of "soft" light. I mostly use natural light from a window with a white-slightly cream curtain, but in most of the cases I also add a diffuser. 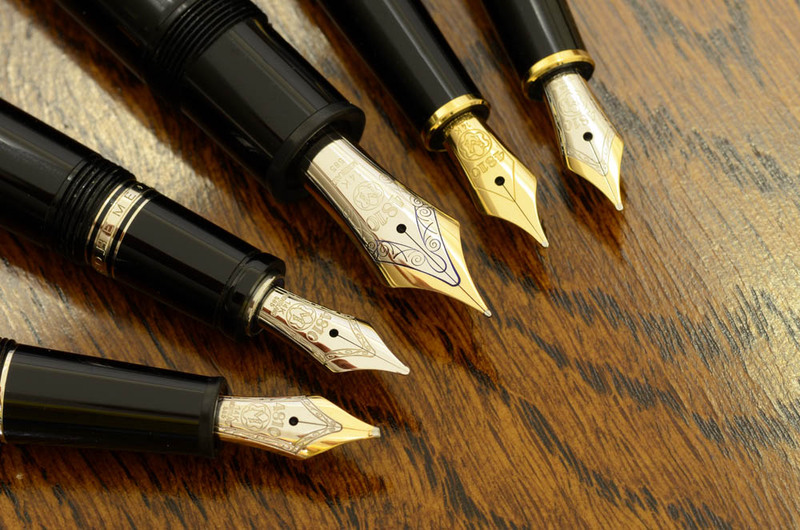 As directional light (like a flash or a window) produces darker tones in the shadow side, and as many pens are dark in color, you may also want to fill the shadow to improve legibility of the details in the darker areas. You may well use two flash or strobes, but it is much easier to "reflect" the light with a clear surface put opposite to the light source (both artificial or natural). 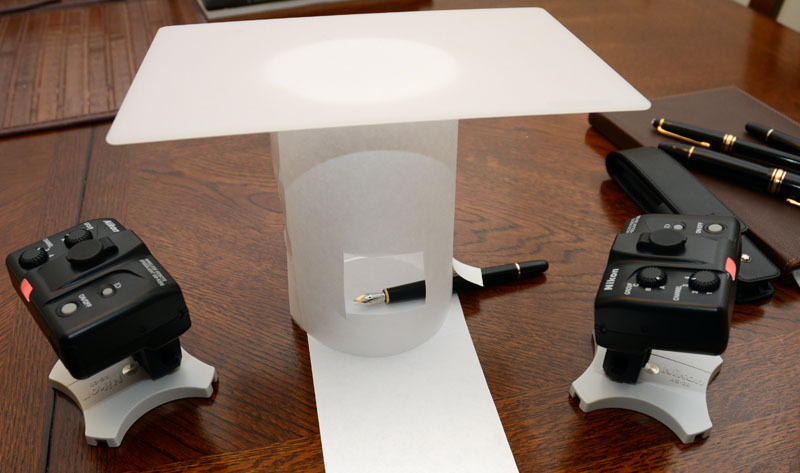 If you use a white cardboard (close enough to the pen reflect the light still remaining outside the frame) you will have a "soft" reflected light; if you use aluminum foil (of the kind used in the kitchen) you will have a more pronounced and "hard" fill lighting. 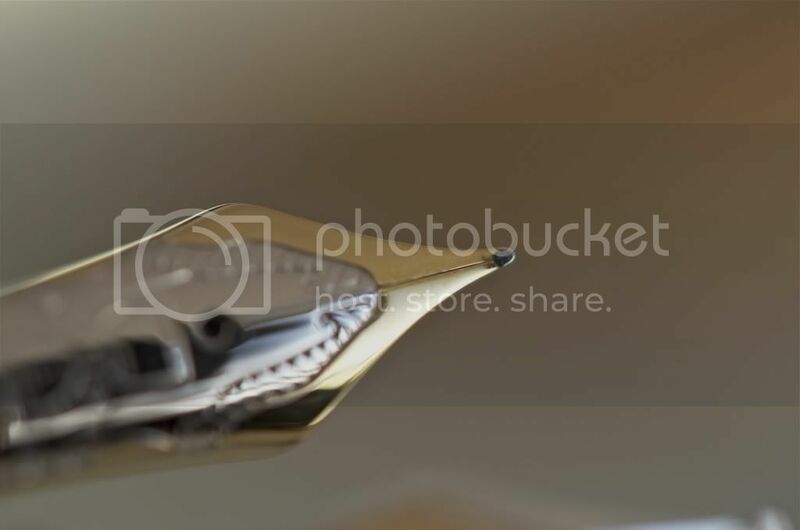 If your camera has this function, use manual settings, or any kind of automatisms that allow you to select the diaphragm value. You have to use 16-up (22, 32, etc.) for maximum depth of field (i.e., sharp details in all the photograph) or 2.8, 4, 5.6 for reduced depth of field (i.e., selective sharpness). 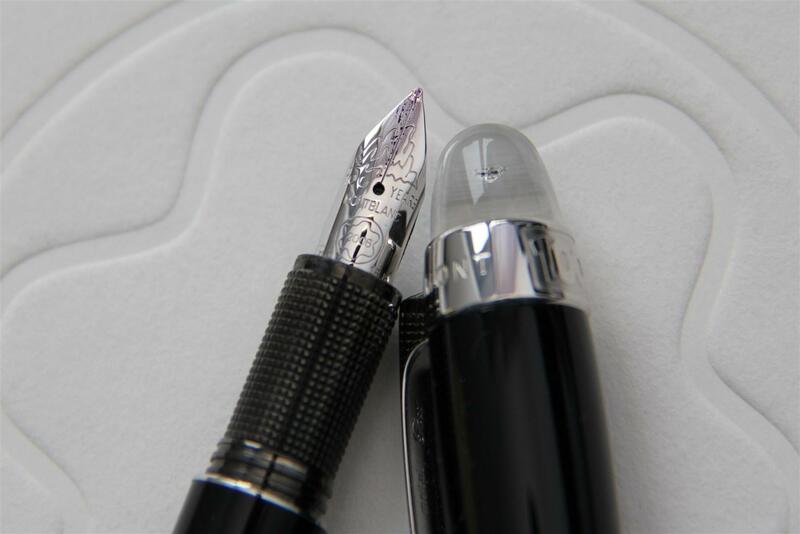 I didn't bother cleaning the nibs... i actually like dirty FP pics - there is something nice about a fountain pen fulfilling its destiny! 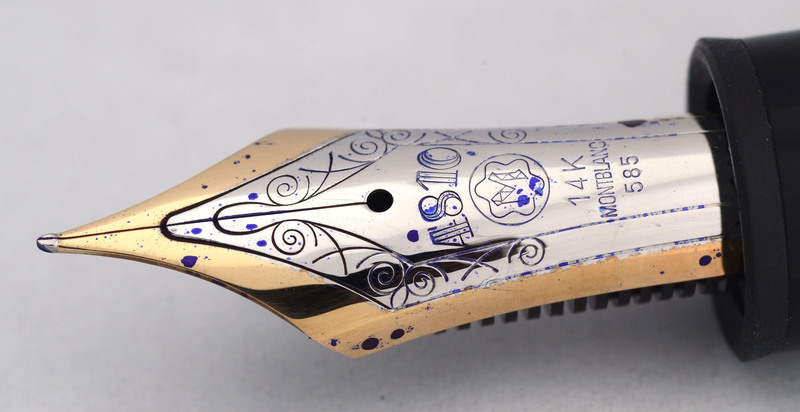 Didn't see any pictures of the Herbert von Karajan's nib yet, so here is my meager contribution. Nice, few of my favourite there! A quick shot. 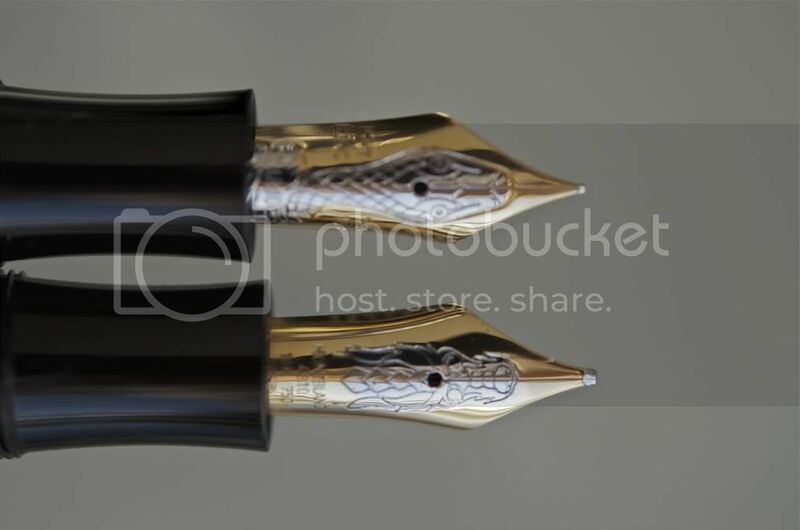 Will have to try a light tent and my D80 one of these days, but, yeah, now I have this... Semiramis with a luscious F nib, filled with Sailor Rikyu Cha. 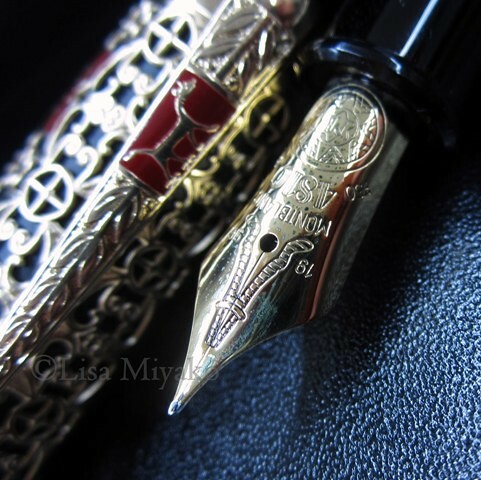 The beauty about Nakaya [Montblanc] is that there is no need; it is all desire, sublime desire. 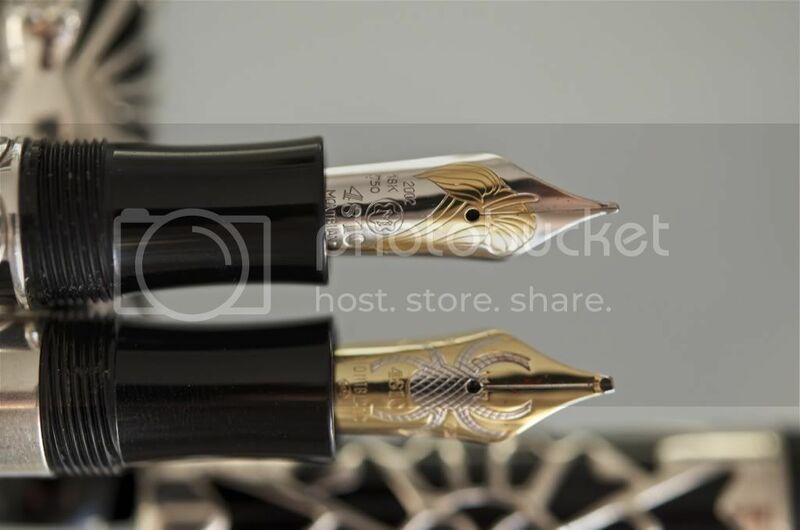 We are going to indulge something -- we are only human -- so why not something as beautiful and useful as Nakaya [Montblanc]? 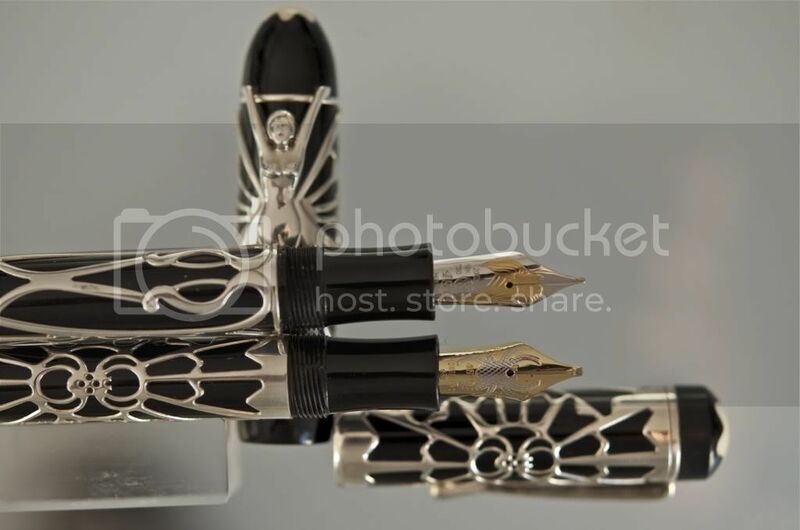 I can see incredible beauty in both Montblanc and Nakaya pens. 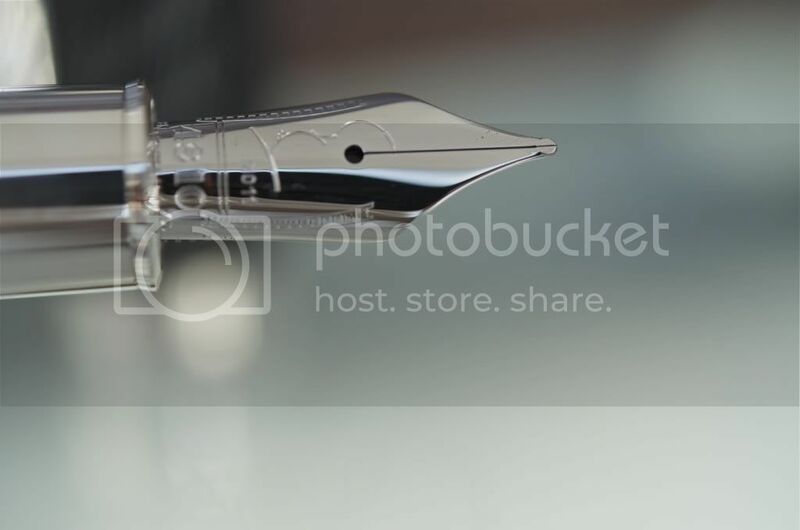 So, is it wrong to change the pen brand in her quote? Especially here in the MB Forum? 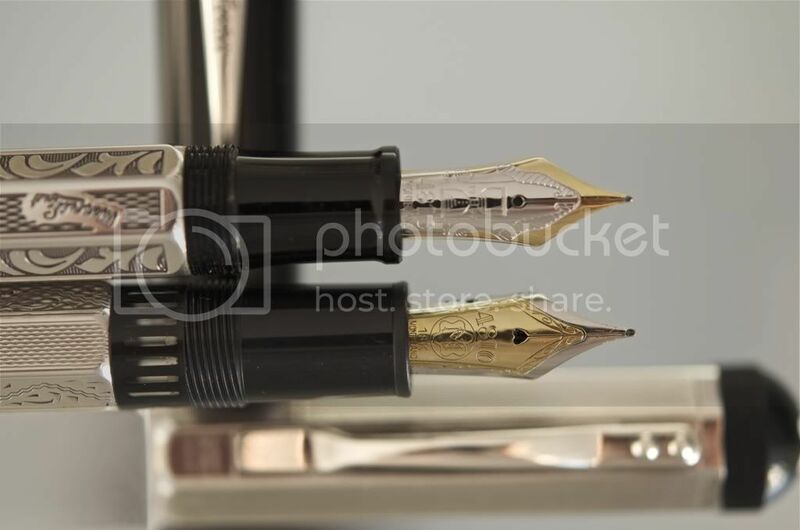 Wait what pen is this?--going to google it now!